The Vile Vortices twelve are areas distributed more or less evenly around the globe that are alleged to have the same qualities as claimed for the Bermuda Triangle. Five are located on a latitude near the Tropic of Capricorn; Five on a latitude near the Tropic of Cancer; and one each at either of the Poles. They form the vertices of an icosahedron. As well as the Bermuda triangle, the Devil’s Triangle (or Devil’s Sea) is one of the twelve areas. The Devil’s Triangle is claimed to be the cause of the disappearance of Amelia Earhart, noted American aviation pioneer, author and women’s rights advocate who disappeared over the central Pacific Ocean near Howland Island during an attempt to make a circumnavigational flight of the globe in 1937. In the image above the vortices are marked out in a different color. The Oak Island Money Pit is the site of the world’s longest running hunt for lost treasure. For hundreds of years, treasure hunters have ventured to Nova Scotia and tried to recover the treasure which is protected by a series of ingenious traps. Strange man made artifacts have been recovered from the pit over the years, but to this day, the treasure still remains buried. Pirates, the Knights Templar or Francis Bacon – no one is sure exactly who created this mysterious Money Pit or why. There has been wide-ranging speculation as to who originally dug the pit and what it might contain. Oak platforms were discovered every 10 feet. There were pick scrapes on the walls on the money pit and the dirt was noticeably loose and not as hard packed. 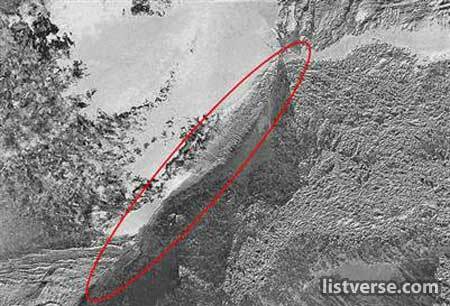 The flood tunnel at 90 feet has been identified and known to be lined with flat stones. Some have speculated that the Oak Island pit was dug to hold treasure much more exotic than gold or silver. In his 1953 book, The Oak Island Enigma: A History and Inquiry Into the Origin of the Money Pit, Penn Leary claimed that English philosopher Francis Bacon used the pit to hide documents proving him to be the author of William Shakespeare’s plays. In the image above we see the money pit as it appears today. 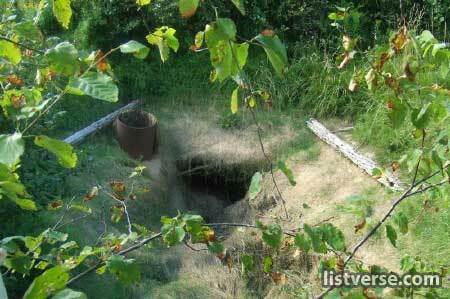 A much more indepth article on the Oak Island money pit is available here. 7. Noah’s Ark – found? The Ararat anomaly is an object appearing on photographs of the snowfields near the summit of Mount Ararat, Turkey, and advanced by some believers in Biblical literalism as the remains of Noah’s Ark. The anomaly is located on the northwest corner of the Western Plateau of Mount Ararat at about 15,500 ft. 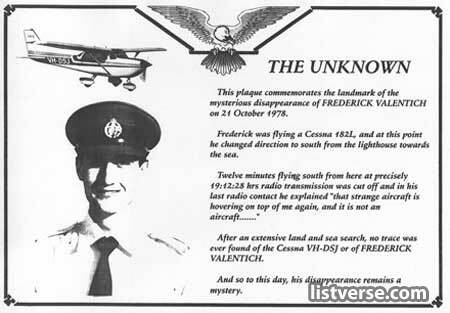 It was first filmed during a U.S. Air Force aerial reconnaissance mission in 1949 — the Ararat massif sits on the former Turkish/Soviet border, and was thus an area of military interest — and was accordingly given a classification of “secret” as were subsequent photographs taken in 1956, 1973, 1976, 1990 and 1992, by aircraft and satellites. Six frames from the 1949 footage were released under the Freedom of Information Act. A joint research project was later established between Insight Magazine and Space Imaging (now GeoEye), using the IKONOS satellite. IKONOS, on its maiden voyage, captured the anomaly on August 5 and September 13, 2000. The Mount Ararat area also has been imaged by France’s SPOT satellite in September 1989, Landsat in the 1970s and NASA’s Space shuttle in 1994. There are many famous cases of people who seem to have spontaneously caught fire (Spontaneous Human Combustion) but there is a lesser known case of a woman who suffered this fate in front of witnesses. At approximately 4 p.m. on Wednesday, September 15, 1982, Jeannie Saffin aged 61, burst into flames while sitting on a wooden Windsor chair in the kitchen of her home in Edmonton, London, England. Her father, eighty-two-year-old Jack Saffin, was seated at a nearby table and said he saw a flash of light out of the corner of his eye and turned to Jeannie to ask if she had seen it. He was astonished to find that she was enveloped in flames, mainly around her face and hands. Mr. Saffin said Jeannie did not cry out or move, but merely sat there with her hands in her lap. Her father pulled her over to the sink, badly burning his own hands, and started trying to douse the flames with water. Jeannie went in to a coma and died 8 days later. The policeman who conducted the investigation into possible murder reported to the coroner’s court that no cause for Jeannie’s combustion could be found. There was no charring or signs of burning anywhere in the room except on Jeannie’s body. 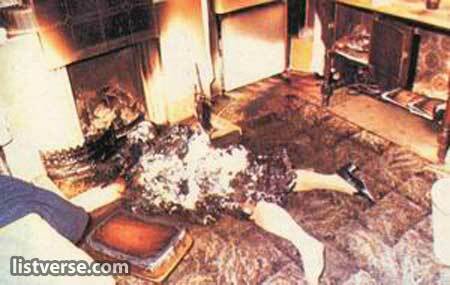 The image above is from another case of Spontaneous Human Combustion as none could be found of Jeannie Saffin. You an read a much more indepth article on spontaneous human combustion here. From 25 July to 23 September 2001, red rain sporadically fell on the southern Indian state of Kerala. 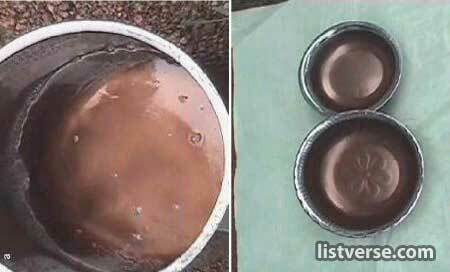 Heavy downpours occurred in which the rain was colored red, staining clothes with an appearance similar to that of blood. Yellow, green, and black rain was also reported. According to locals, the first coloured rain was preceded by a loud thunderclap and flash of light, and followed by groves of trees shedding shrivelled grey “burnt” leaves. Shrivelled leaves and the disappearance and sudden formation of wells were also reported around the same time in the area. A study commissioned by the Government of India found that the rains had been colored by airborne spores from a locally prolific terrestrial alga. Then in early 2006, the colored rains of Kerala suddenly rose to worldwide attention after media reports of a conjecture that the colored particles were extraterrestrial cells. The origin of the rain is still unknown today, despite worldwide efforts to discover the cause and true nature of the rain. On May 26, 1828 a teenage boy appeared in the streets of Nuremberg, Germany. He carried a letter with him which was addressed to a captain of 6th cavalry regiment. The anonymous author said that the boy was given into his custody, as an infant, on the 7th October 1812, and that he had never let him “take a single step out of my house”. Now the boy would like to be a cavalryman, thus the captain should take him in or hang him. Hauser claimed that he had, for as long as he could think back, spent his life always totally alone in a darkened 2×1×1.5 metre cell (little more than the size of a one-person bed in area) with only a straw bed to sleep on and a horse carved out of wood for a toy. Hauser claimed that the first human being he ever had had contact with had been a mysterious man who had visited him not long before his release, always taking great care not to reveal his face to him. 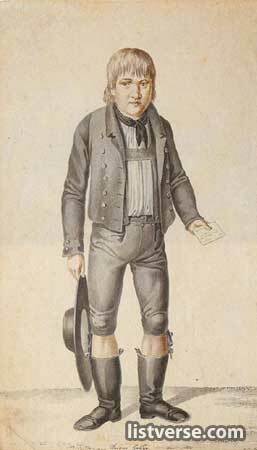 According to contemporary rumors – probably current as early as 1829 – Kaspar Hauser was the hereditary prince of Baden that was born on September 29, 1812 and had died within a month. It was claimed that this prince had been switched with a dying baby, and had indeed appeared 16 years later as “Kaspar Hauser” in Nuremberg. Hauser died after receiving a stab wound to the chest which was possible self-inflicted. He claimed he had been stabbed by the man who had kept him as an infant. In 2002, the University of Münster analyzed hair and body cells from locks of hair and items of clothing that were alleged to belong to Kaspar Hauser. The DNA samples were compared to a DNA segment of Astrid von Medinger, a descendant in the female line of Stéphanie de Beauharnais, who would have been Kaspar Hauser’s mother if indeed he had been the hereditary prince of Baden. The sequences were not identical but the deviation observed is not large enough to exclude a relationship, as it could be caused by a mutation. The Man in the Iron Mask (died November 1703) was a prisoner who was held in a number of jails, including the Bastille and the Chateau d’If, during the reign of Louis XIV of France. The identity of this man has been thoroughly discussed, mainly because no one ever saw his face which was hidden by a mask of black velvet cloth. Later retellings of the story have claimed that it was an iron mask. 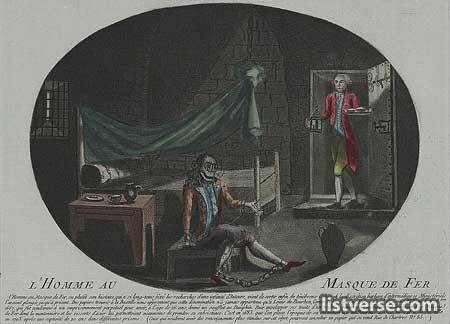 The first surviving records of the masked prisoner are from 1669, when Louis XIV’s minister sent a prisoner to the care of the governor of the prison of Pignerol. According to Louvois’ letter, the man’s name was Eustache Dauger. Louvois instructed Saint-Mars to prepare a cell with multiple doors which were to prevent anyone from the outside listening in. Dauger was also to be told that if he spoke of anything other than his immediate needs he would be killed. Saint-Mars was to see Dauger only once a day in order to provide food and whatever else he needed. He spent his remaining years in jail, with his true identity being concealed. Upon his death, all of his belongings were destroyed. Theories about his identity made at the time included that he was a Marshal of France; or Richard Cromwell, son of Oliver Cromwell; or Francois de Vendôme, Duc de Beaufort. Later, many people such as Voltaire put forward other theories about the man in the mask. The sailing stones are a geological phenomenon found in the Racetrack Playa (a seasonally dry lake located in the northern part of the Panamint Mountains in Death Valley National Park, California, U.S.A.). The stones slowly move across the surface of the playa, leaving a track as they go, without human or animal intervention. They have never been seen or filmed in motion and are not unique to The Racetrack. Similar rock travel patterns have been recorded in several other playas in the region but the number and length of travel grooves on The Racetrack are notable. 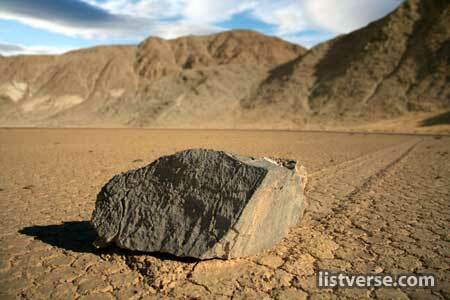 Racetrack stones only move once every two or three years and most tracks last for just three or four years. Stones with rough bottoms leave straight striated tracks while those with smooth bottoms wander. Stones sometimes turn over, exposing another edge to the ground and leaving a different-sized track in the stone’s wake. Various and sometimes idiosyncratic possible explanations have been put forward over the years that have ranged from the supernatural to the very complex. Most hypotheses favored by interested geologists posit that strong winds when the mud is wet are at least in part responsible. Some stones weigh as much as a human, which some researchers such as geologist George M. Stanley who published a paper on the topic in 1955 feel is too heavy for the area’s wind to move. The Wow! 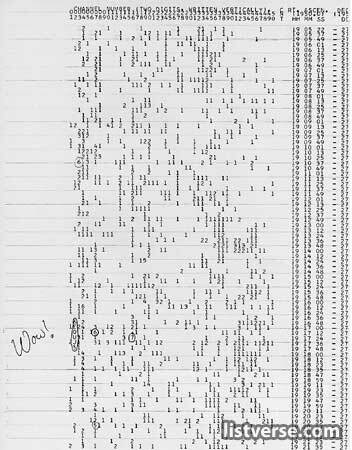 signal was a strong, narrowband radio signal detected by Dr. Jerry R. Ehman on August 15, 1977 while working on a SETI (Search for Extraterrestrial Intelligence) project at the Big Ear radio telescope of the Ohio State University. The signal bore expected hallmarks of potential non-terrestrial and non-solar system origin. It lasted for 72 seconds, the full duration Big Ear observed it, but has not been detected again. It has been the focus of attention in the mainstream media when talking about SETI results. The Big Ear telescope was fixed and used the rotation of the Earth to scan the sky. At the speed of the earth’s rotation, and given the width of the Big Ear’s observation “window”, the Big Ear could observe any given point for just 72 seconds. An extraterrestrial signal, therefore, would be expected to register for exactly 72 seconds, and the recorded intensity of that signal would show a gradual peaking for the first 36 seconds — until the signal reached the center of Big Ear’s observation “window” — at which time it would show a gradual decrease. Therefore, both the length of the Wow! signal, 72 seconds, and its shape would correspond to an extraterrestrial origin. The region of the sky in which the signal was heard, lies in the constellation Sagittarius, roughly 2.5 degrees south of the fifth-magnitude star Chi-1 Sagittarii.